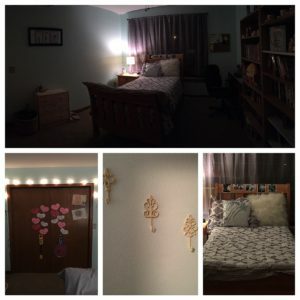 Carter’s serene sanctuary is complete! And we love it! Such a dramatic change from the pink crazy place it was! Charlie’s heart is as big as his appetite for pizza, and that’s saying a lot! 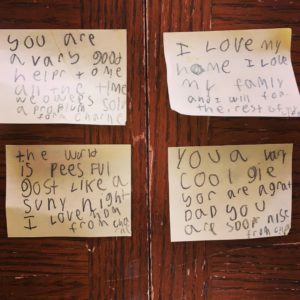 He took the time to write each of us a note, including himself (his love of home), and left them at our seats at the table. He was so proud of his hard work, and I’m am so proud of the sweet guy he continues to become!